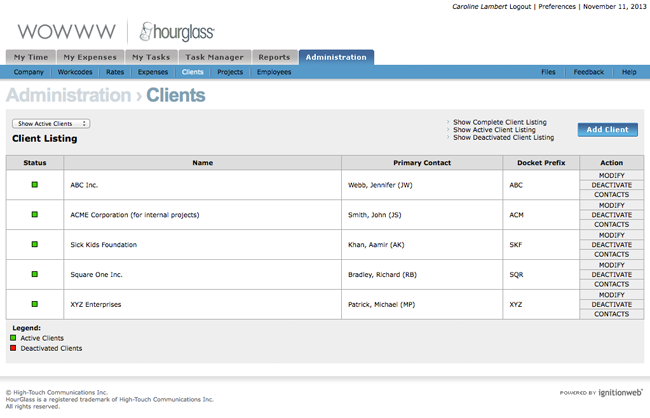 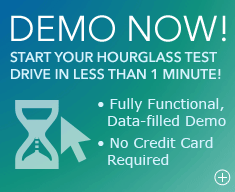 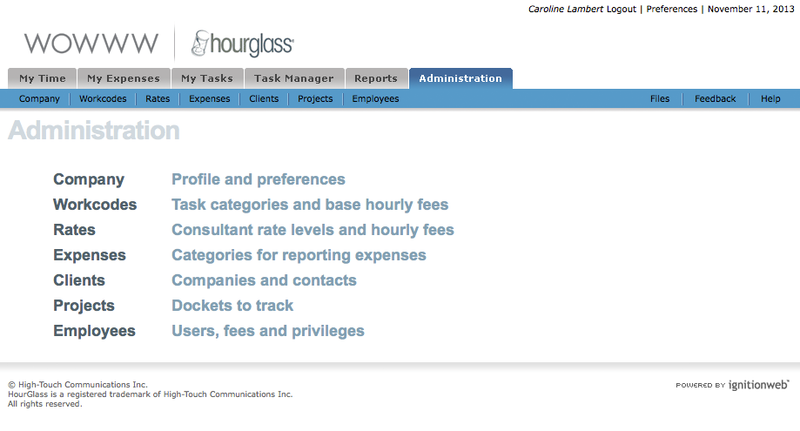 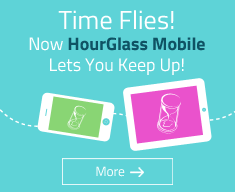 Manage your account, employees, dockets, clients and more in the Administration section of HourGlass. 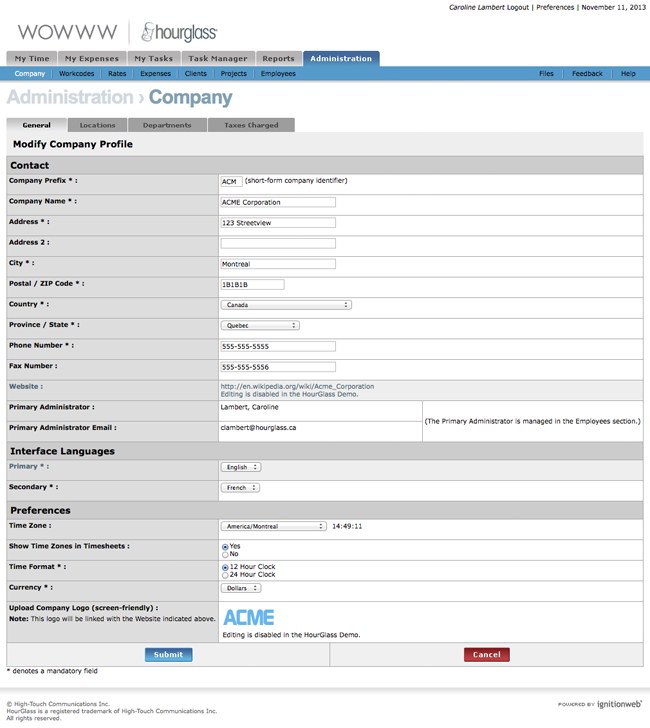 The Company page lets you modify your company details across locations and departments, and enter default tax information. 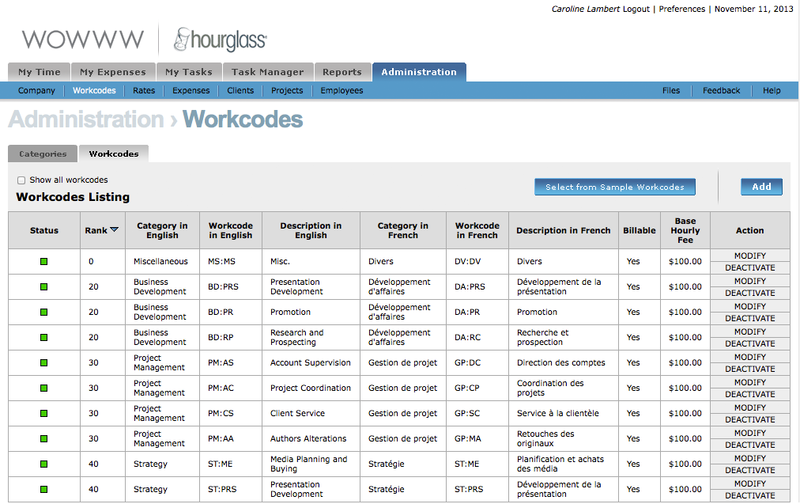 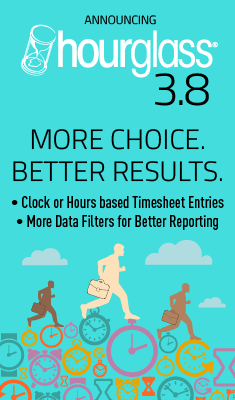 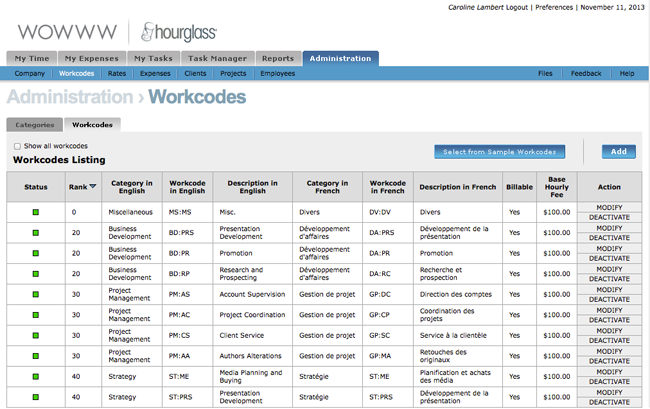 The Workcodes page allows you to add or modify task categories and base hourly fees. 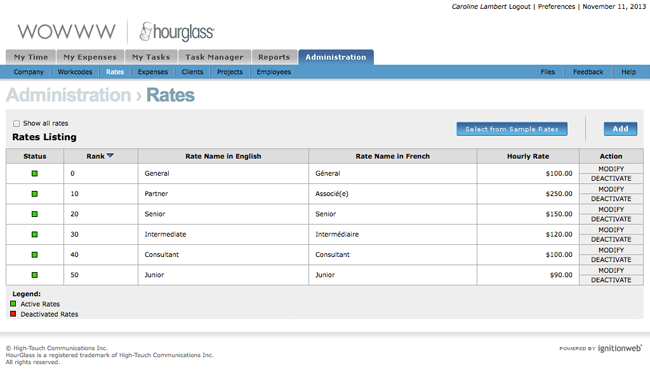 On the Rates page, you can add or modify consultant rate levels and hourly fees. 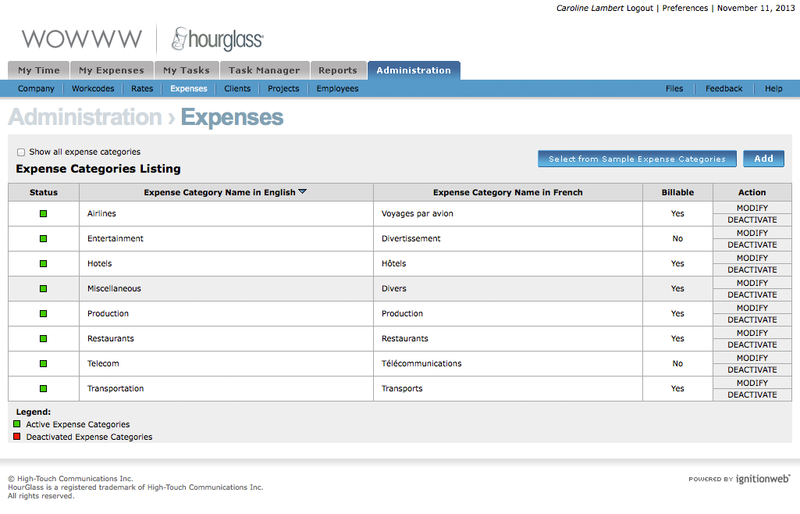 The Expenses page enables you to add or modify the categories employees use to report their expenses. On the Clients page, you can manage your list of clients, as well as your client contacts. 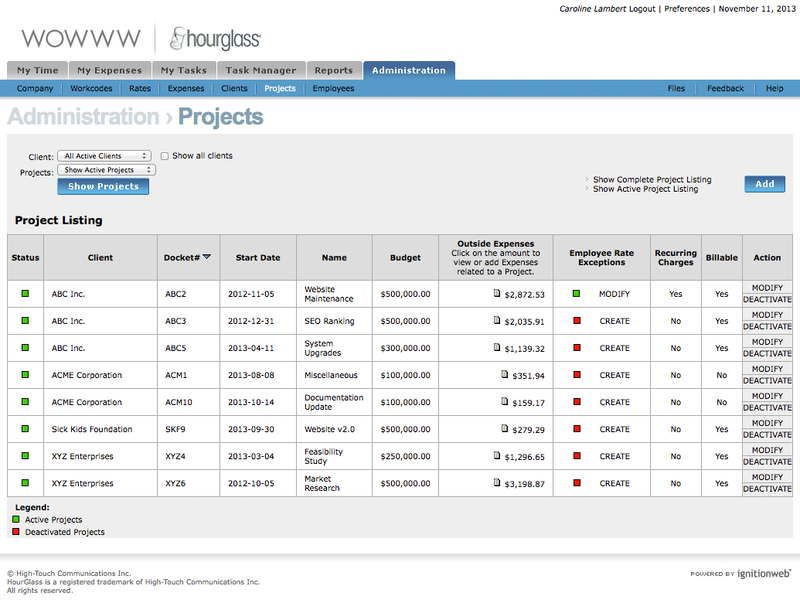 The Projects page lists the projects and dockets being tracked, and allows you to add new ones. 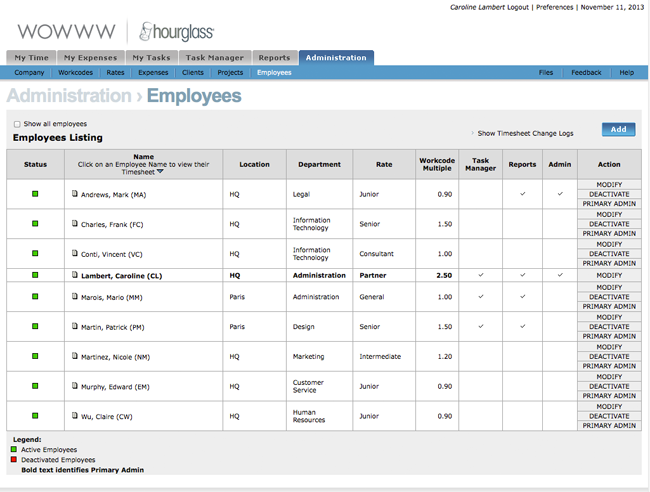 Use the Employees page to add, modify, activate or deactivate employees. 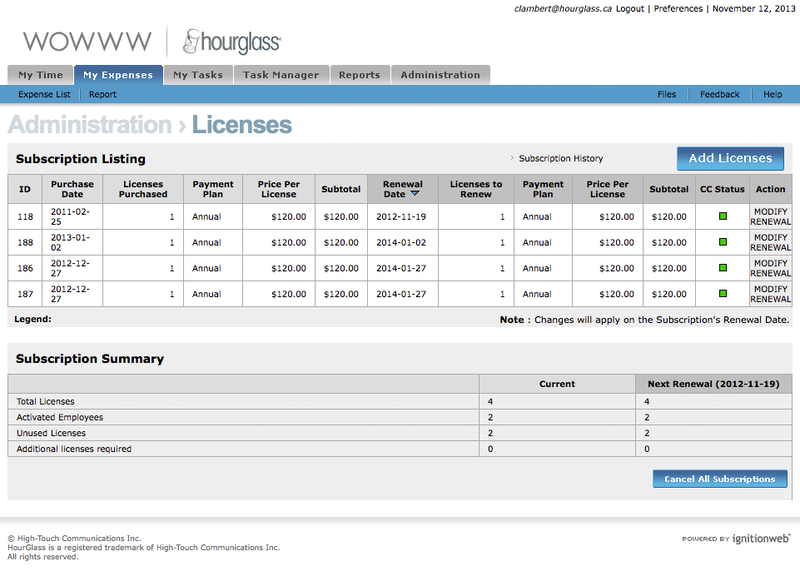 To add, modify or activate/deactivate Licenses as part of your HourGlass subscription package, access the Licenses page.